Northstar EMS in Searcy is responsible for providing six Stop the Bleed kits to Searcy School District. Through the receipt of the Arkansas Trauma Grant, Northstar was able to donate these very important and necessary kits to each campus and the Searcy School District administration office. 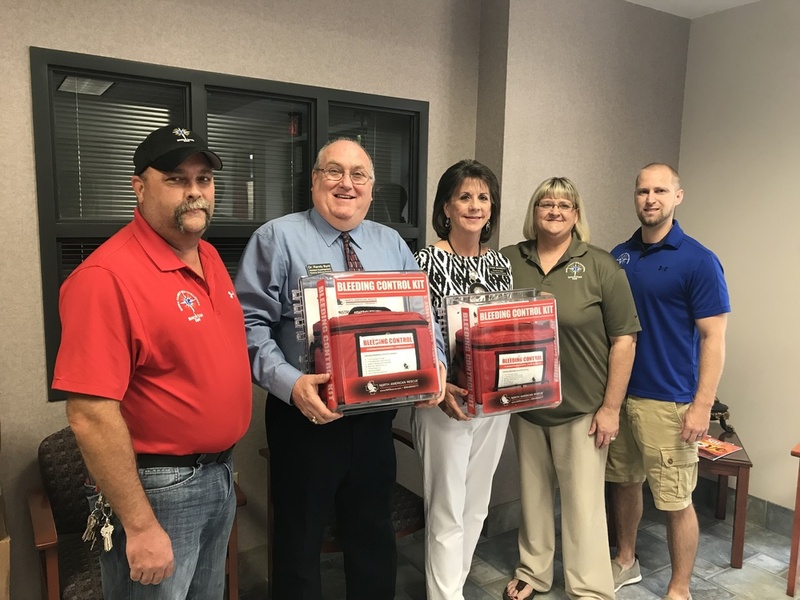 Pictured are Brandon Pruitt, Tonia Hale, and Jacob Hale of Northstar EMS presenting the kits to Searcy School District assistant superintendent Dr. Randy Byrd and Superintendent Diane Barrett. Thank you, Northstar EMS, for this donation!